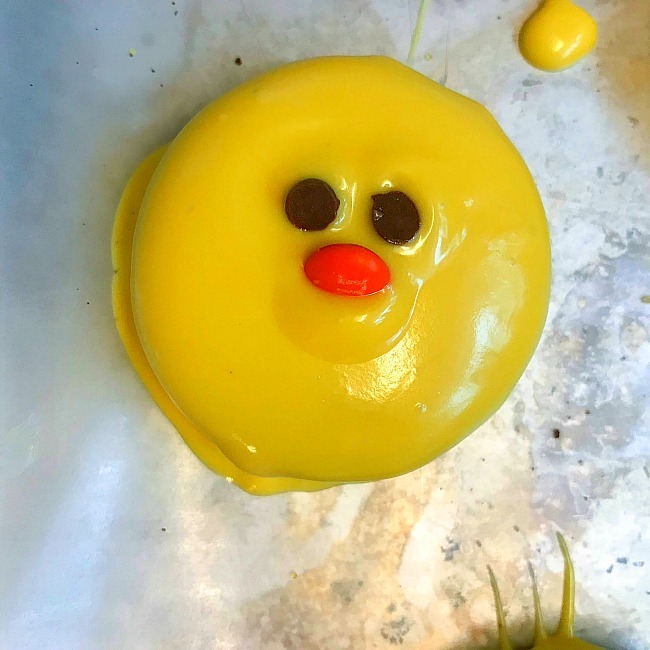 Baby Chick Themed Oreos Easter Dessert Idea! You’ve heard of fried Oreos (they look gross but aren’t they delicious?). You’ve seen the chocolate dipped Oreos that show up around major holidays. 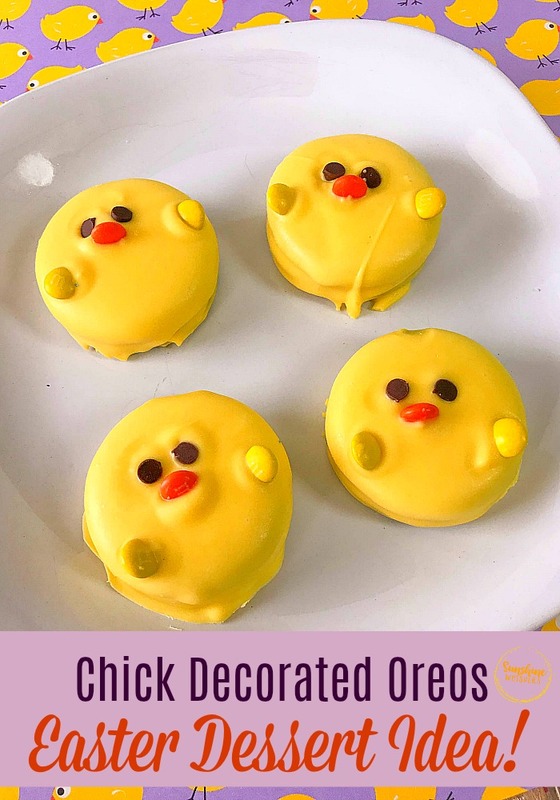 So why not kick it up a notch and make these little baby chick Oreos for Easter or Spring this year? This would be such a perfect little treat for a tea party or to take into school or for a Girl Scout troop meeting. 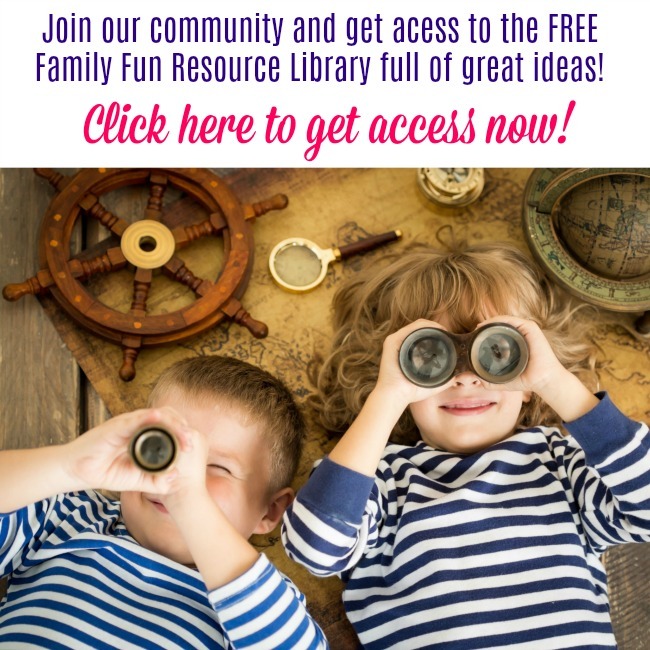 These Easter dessert ideas are not hard to make so your kids could get in the kitchen and help you too! And honestly.. Oreos… dipped in chocolate. 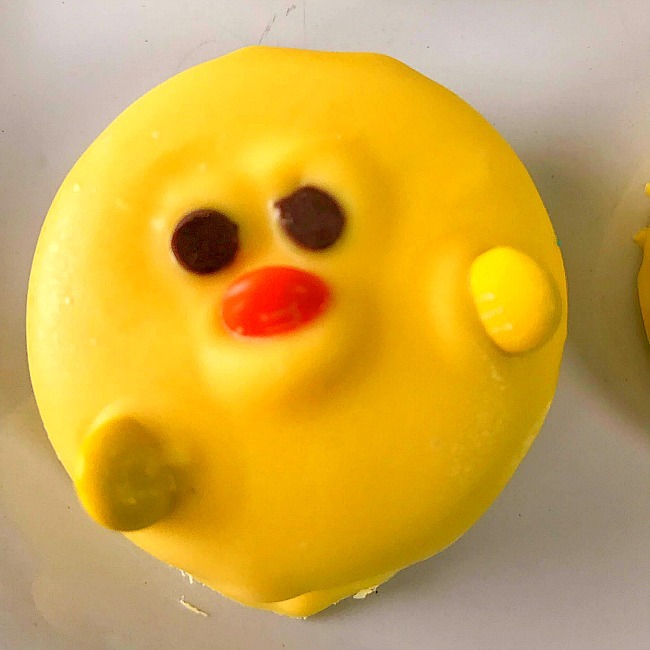 This Easter dessert idea will absolutely tickle your sweet tooth. 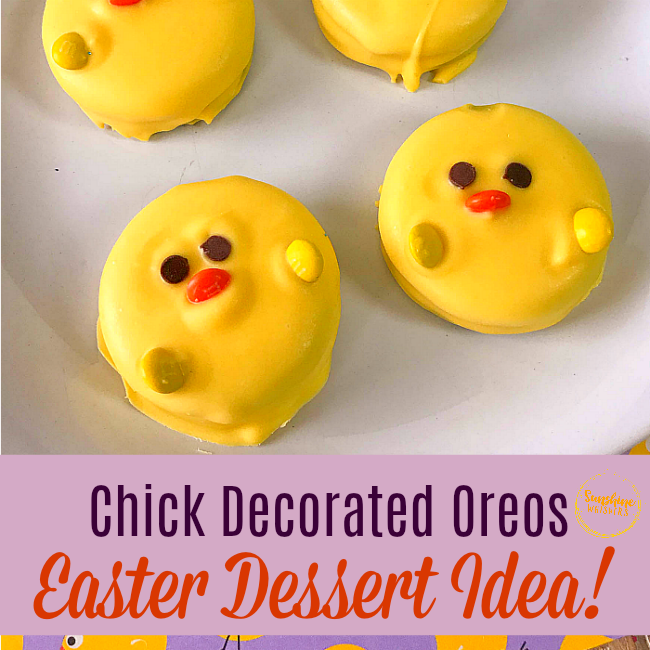 Related: Chick Themed Nutter Butter Easter Dessert Idea! Related: Easter Animal Chocolate Dip Pretzel Easter Dessert Idea! Melt candy coating according to package directions. If the candy is too thick to pour, add 1 teaspoon coconut oil or vegetable shortening. Stir well. Do not add water. You can add up to 1 tablespoon of coconut oil per bag of candy wafers. 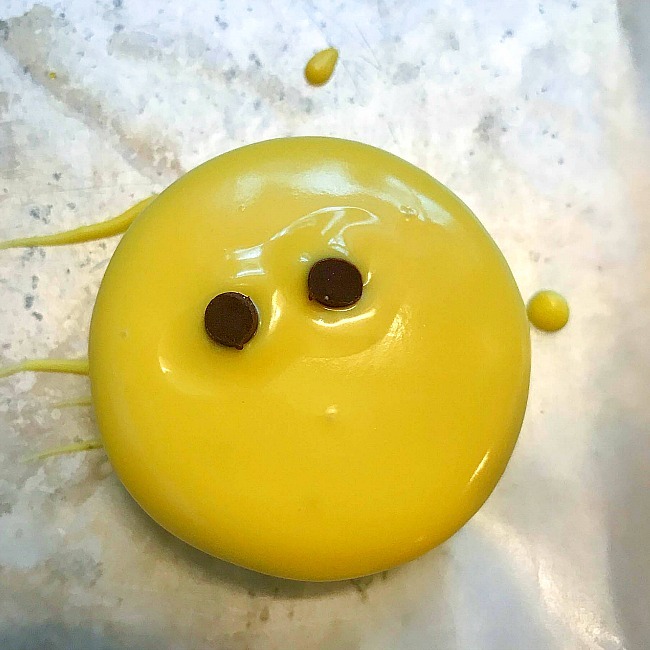 Drop cookie into melted candy and turn to coat completely. Remove cookie from candy with candy dipping scoop, tapping gently against the side of the bowl, allowing excess chocolate to return to the bowl. If air bubbles form, pop them with a toothpick. Slide the coated cookie onto the baking sheet. Immediately decorate with sugar sprinkles and candy. Tip: Using a toothpick and/or sterilized tweezers makes placing small candy easier.